The batch of T nuts and bolts came in along with my Forster bits and Forster bit depth stop thingy. Now i just need a couple microplane rasps. 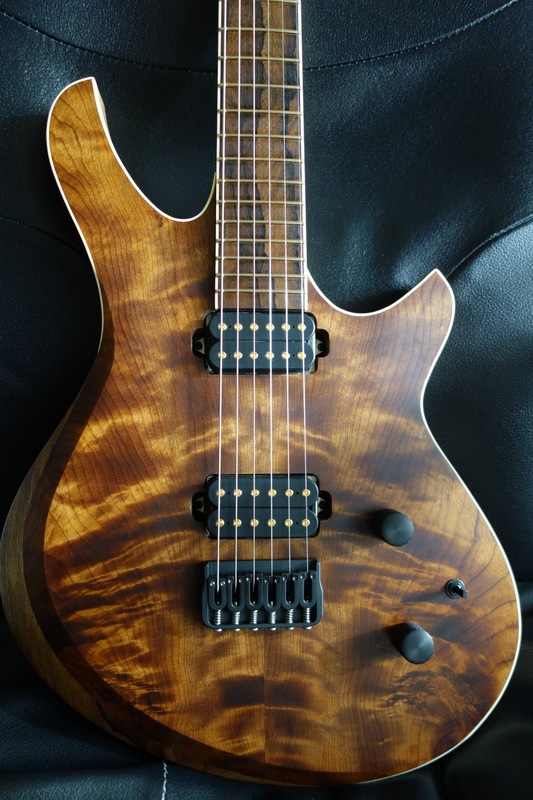 I started a build thread over at sevenstring.org here’s the link. 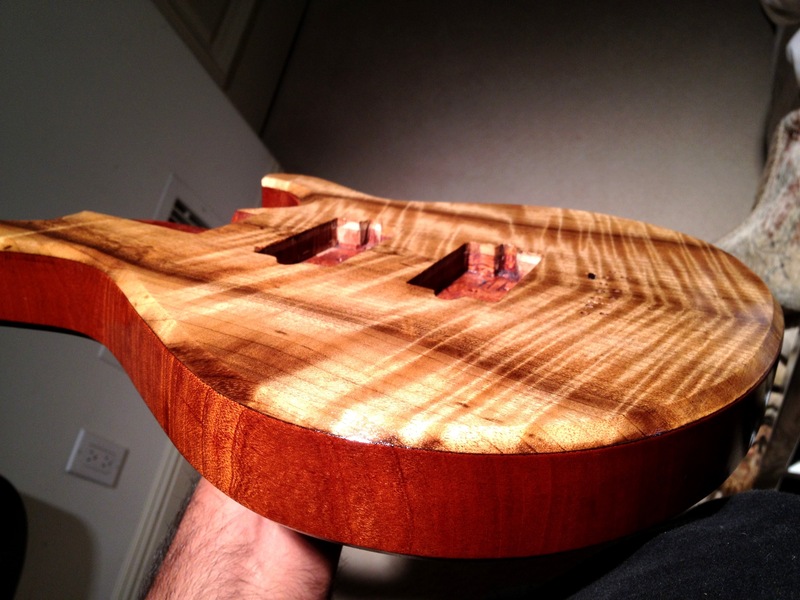 Baritone build story And heres some eye candy. Ears are sturdy enough for me to remove the clamps. I can’t stress these joints for another 24 hrs. No problem. I’ll just draw the headstock shape in and see how everything looks. While the glue dries I figure I’d layout the tuning machines. These things add up. I’m gonna have to find a way to get a custom 3 left 4 right configuration.